Go with whichever the installing contactor likes the best. If you're planning on doing the install yourself, you can choose the boiler; but if not you want a boiler that the installer is experienced with & can service without long calls to tech support or extended lead time parts. If you haven't found an installer yet, a note: not all installers will be comfortable with installing an owner-supplied boiler & it seems that the ones that do aren't necessarily the best qualified. Your time would be better spent researching installers, as the installer is the single biggest factor in a successful job. i am going to be doing 85% of the install myself. running the piping and installing all the rads. My neighbor has his own hvac mechanical contracting company and is gonna do the connections, fine tuning & installing the boiler itself. He will service and clean it as needed. He is familiar with all 3 and says they are all good. So its pretty much on me to pick on. Leaning towards the g115sw or the mpo-iq. Cool! You can have a lot of fun doing it yourself. Have you done a heat loss yet? The Slant-Fin app is popular and reasonably accurate. Unless you've done a proper Manual J already, it's worth it to run through the house, even if just for a double check. Check out the Trio oil boiler from F W Webb. Great boiler. Cast iron three pass horizontal oil boiler low water volume. This boiler uses oil or for any reason in the future you want or need to go to natural gas or LP gas you can change the burner. This boiler is built to run on all three fuels and you will not loose any warranty for going from oil to gas. Call your local heating professional for pricing. 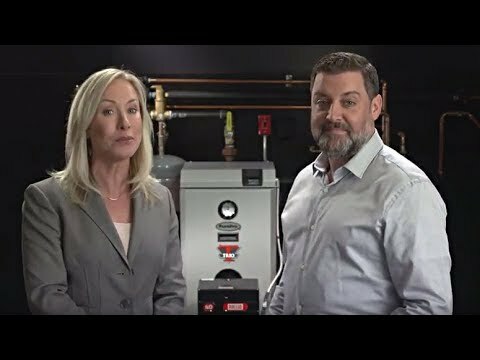 What are you using for domestic hot water? Oil fired or electric? My biased option leads towards the Buderus G115 with the 2107 Logamatic and the BF Riello. How detailed is the room by room diagram? Insulation, framing, flooring, window and door factors? Download the Slant/Fin app anyway. You'll have fun with it. I've never even seen a Trio boiler, much less serviced one, but from what's said on this forum, they're good boilers. You keep referring to radiators, as opposed to baseboard. If you have an old house and are indeed installing large radiators, you might run into trouble with the low-water-volume units you are interested in. You will also have to watch your return temp, and primary/secondary piping should be considered. sorry, they are going to be base board heaters with a couple panel rads in the basement. The house was built in 91. so its not that old. its pretty well insulated. I just finished insulating and sealing the crawlspace which has made a huge difference in just the couple days its been done. > You keep referring to radiators, as opposed to baseboard. If you have an old house and are indeed installing large radiators, you might run into trouble with the low-water-volume units you are interested in. You will also have to watch your return temp, and primary/secondary piping should be considered. The Buderus G115 is not a low mass boiler. Also, the 1" return and block materials allow for low temp return water. Circ. function can be programmed with the 2107 at specific set temps. P/S piping is not necessary, but always a good idea. F W Webb has a location in Allentown PA. We can deliver to Northeast PA. Our Trio oil boiler is built in Boyertown PA. This boiler is great for copper baseboard, cast iron baseboard or radiator, radiant, duct coil, wall panel radiator systems as long as it is piped in the right way. Have your heating contractor give me a call at 484-488-3669 I can give him a price on this boiler system. We have a optional control called the Energy Manager Plus II that can run 115V circulator pumps or 24V zone valves by flipping a switch. This control can run zone valves and pumps on the same job. It also can control our Purepro indirect water heater and gives the IDWH priority to make your domestic hot water. This control has a LWCO built in plus you can add an outdoor sensor and this control will do outdoor reset. This is a great control. Check out our Trio boiler and EMPII control at www.pureproproducts.com click on boilers then click on Trio Residential boilers. Professional contractors check this boiler system out. Also check out out commercial Trio boiler lineup. Our commercial Trio boiler has a 20 year warranty on the boiler block. Most commercial water boilers only come with a 10 year boiler block warranty. For professional contractors F W Webb in Allentown is having a counter day on Wednesday November 1st from 11:00 AM to 2:00 PM on our Trio boilers come on out and see this boiler and the factory people.